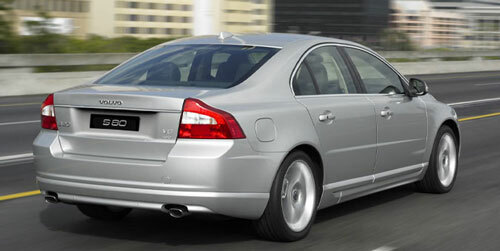 The Volvo S80 is much nicer than the 2008 Accord, but nobody cares. Everybody was over looking at the Honda Accord! Submitted by peter on 24 September, 2007 - 20:42. The launch of the fresh new S80 is expected to boost sales and help rejuvenate the brand image in Thailand. Volvo are expecting sales of over 100-units of the new car by the end of 2007. The new S80 is a dramatically different car than the outgoing model, with smoother flowing lines like its sporty S60 sibling. Baby Volvo's front end is least distinctive area, and it looks too much like the S40. Glass hatch is cool looking, but results in a very small opening. Still, this car is not even trying to be practical.